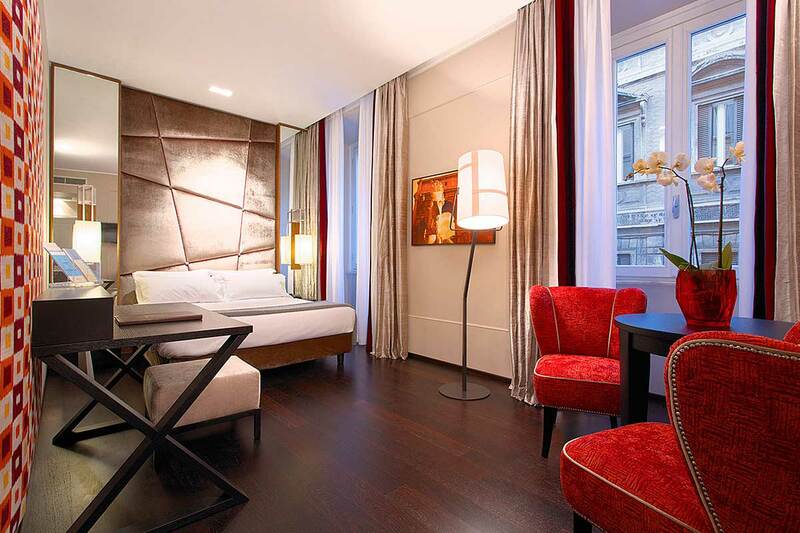 Hotel Stendhal is located in the heart of Rome, near the Spanish Steps and the Trevi Fountain. You will appreciate staying in an exclusive boutique hotel with timeless charm that combines classic and contemporary decoration. Certainly a great choice for exploring the capital of Italy and its numerous treasures. This 4 Star hotel enjoys a beautiful location in the historic center of Rome within walking distance from Via Condotti and its numerous fashion boutiques where you will find the main large of Italian luxury labels (Gucci, Versace, Prada and Dolce & Gabbana…). The comfortable rooms and the excellent quality of the bedding will provide you with all the tranquility necessary for a nice rest.